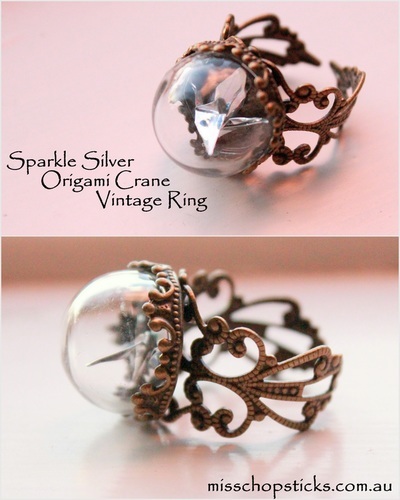 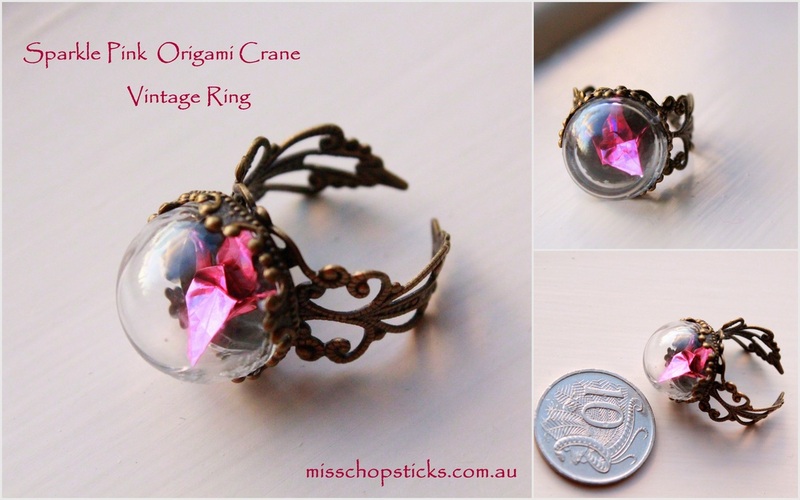 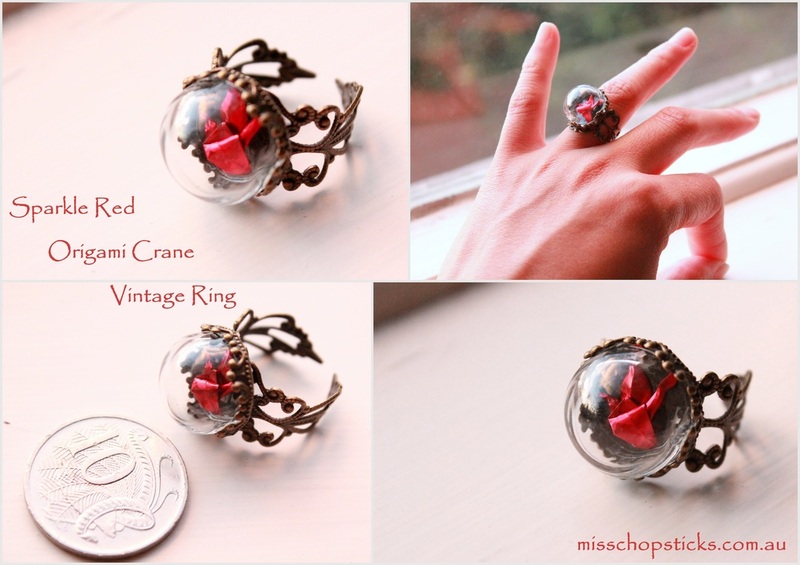 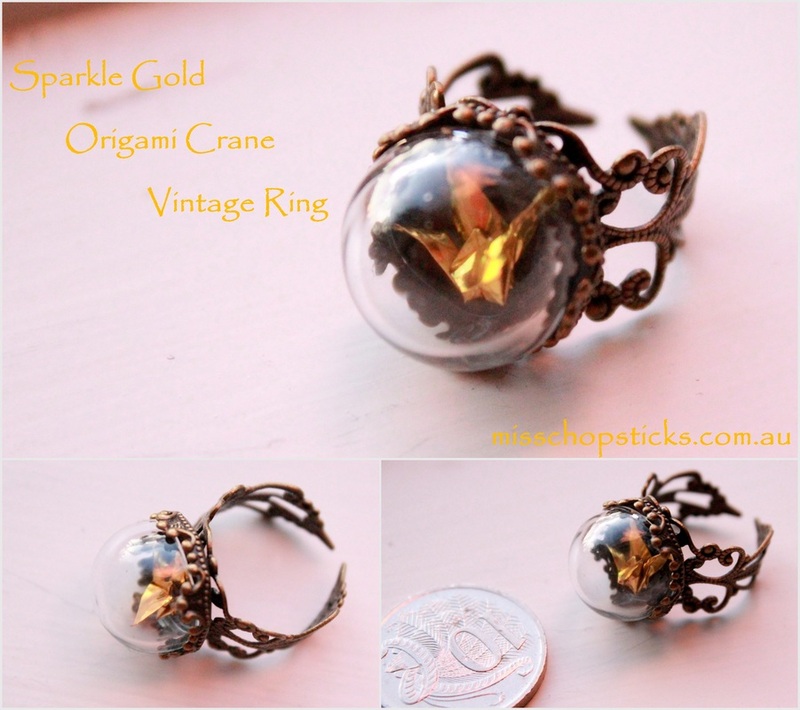 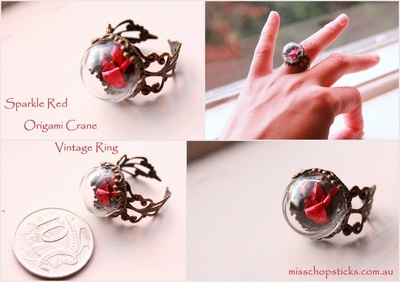 A hand folded sparkle crane housed in half round glass bubble vial glass dome covered with 15mm copper antique vintage ring base. 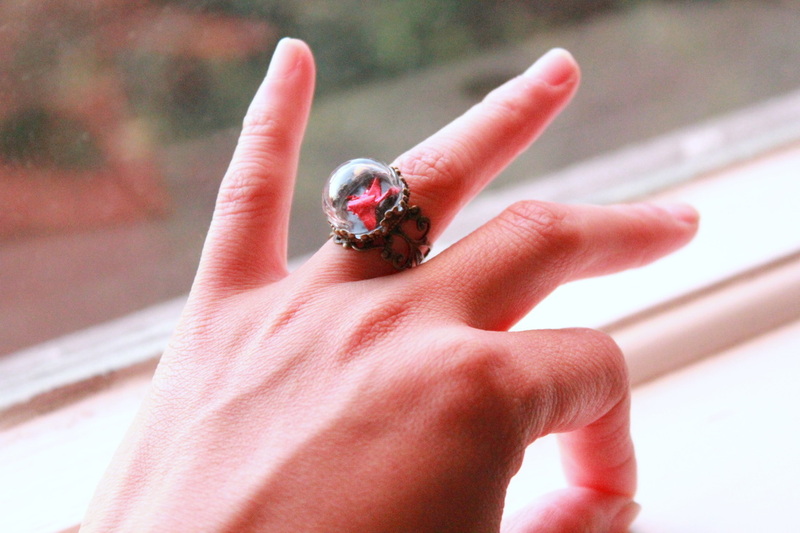 This unique piece blending a traditional Asian origami and vintage western antique ring, it brings out the mixed cultures with a modern feel to new age fashion. 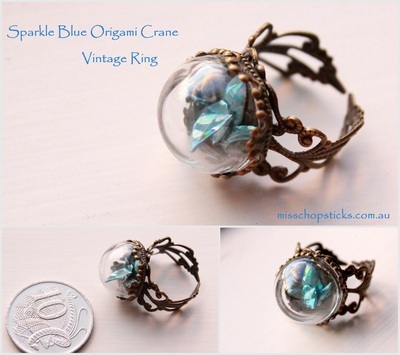 This ring is so funky yet elegant that's suitable for both formal and casual occasions.